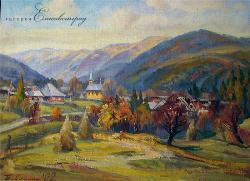 Iosif Mihaylovich Babinets was born on February 8, 1934, in the village Zarechevo of Zakarpattya region. The painter graduated from Ilya Repin Leningrad Institute of Fine Arts, Sculpture and Architecture (nowadays it is Ilya Repin St. Petersburg State Academic Institute of Fine Arts, Sculpture and Architecture). His teachers were I. Bokshay and F. Manaylo. 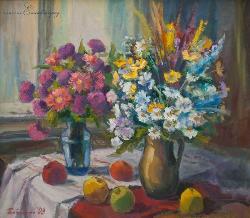 The painter has been a member of National Artists’ Union of Ukraine since 1985.